Having a website is a little like being the new kid in school: until you start making friends, you may as well be invisible. And making the right connections is extremely important. Google uses hundreds of “signals” in order to evaluate what pages (or content) to include in search results, and also the order in which they appear. What those signals are is a closely guarded secret that some people have made attempts at trying to understand. And over the last two years Google has given some indication by revealing what the three most important factors are: content, links, and RankBrain. RankBrain is the name of the machine-learning AI system that Google uses to help process search results, while content and links are self-explanatory. With so much having been written about content and content marketing in the last few years, you should – by now – have a really good understanding of content’s importance. But what about link building? Returning to our new kid in school analogy, having great content means you have many fascinating stories to share, but because you haven’t made any friends yet, you don’t have anyone to share them with. But as you start making friends (building links), more people become aware of you. And they don’t only start talking about you and your many brilliant stories, they actually start trying to befriend you. As long as you haven’t first befriended that weird kid who only talks like Yoda. help search engines understand the relevance of your website and content. This is done not only by examining the content on your website, but also that of the website linking to you, and then determining how the two relate to each other. help establish trust. A lot of quality links to your site suggest that your site can be trusted to provide information that users enjoy and find valuable. increase the authority of your website. provide a way for people to navigate to your website from other websites. While links have always been important to Google, they weren’t always assessed on quality and relevance. The assumption was that if lots of sites linked to you, you must be important. This led to people buying links and participating in link networks; quantity before quality. That changed when Google introduced the Penguin update into their search algorithm. The first big change to the Google algorithm – Panda – targeted sites with low quality content, while Penguin targeted sites using spammy, underhanded techniques to rank higher in search results. And link schemes was one of these targeted techniques. Penguin has been updated several times since first being introduced in 2012, to the point where it now runs in real-time. Penguin did not kill link building, it only shifted the focus from link quantity to link quality. 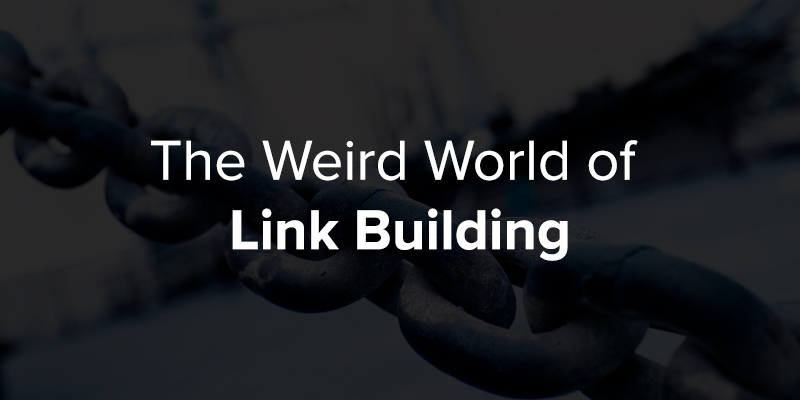 In this article I will take you on a journey through the weird world of link building, pointing out what is good, and what is risky. I will also share some techniques that are worth exploring, making it easier for you to create your very first link building strategy, or clean up your existing strategy. Because link building strategies are not only the reserve of large businesses and websites; they are important to anyone operating a website. With the roll-out of Penguin, Google acknowledged that not all links are equal. A link from a site that is somewhat relevant to your niche or industry is worth more than one from a completely unrelated site. Similarly, a link from a site that has been around for a few years, attracts a lot of organic traffic, and has itself attracted thousands of links from related websites, is worth more than a link from a site that first appeared three months ago. the quantity and quality of links from other domains. that the links are diverse, i.e. there aren’t too many links pointing to the same URL, or coming from the same domain. the age of the domain, the use of global top-level domains (TLDs), and change of ownership of the domain. overall traffic and organic searches for the site. Quality – is the content provided by the website of a suitably high quality? Humans are able to assess quality differently to machines, so again search engine algorithms rely on a host of different signals to determine the quality of content. This could include the presence of spelling and grammatical errors, and too many external links on a page. Other quality signals may include content length, visibility, and how much time visitors spend on individual pages. Centrality – where prestige considers the quality and quantity of links to your site from other domains, centrality looks at the quality of links from your site to other domains. And relevancy is part of this measure: how is the content of the linked sites related to your industry and content. Another signal is thought to be the freshness of the content – how frequently is new content added. This indicates that your business and site is still active within this industry. Competitiveness – a final factor influencing domain authority is that of competitiveness within a specific sector – keywords, industry, primary topic of content, etc. This is measured in relation to how your site performs against other sites in the same sector, possibly looking at traffic, organic searches, and number and quality of backlinks. Measuring and analysing all of the above would be a full time job without the help of tools such as Ahrefs, Moz’s Open Site Explorer, and CognitiveSEO. Using any of these tools, along with a little bit of common sense, will allow you to quickly assess the quality of any sites currently linking to you, along with identifying sites for possible outreach. Great links come from sites with good link and domain influence or authority, and are somewhat relevant or related to your industry and audience. Aesop’s fable The Donkey and His Purchaser elegantly illustrated the principle of a man being known by the company he keeps, and great links are no different. If a lot of sites with good domain and link authority link to you, it is generally safe for search engines to assume your site is trustworthy, and of high value; so your site ends up ranking higher in results. 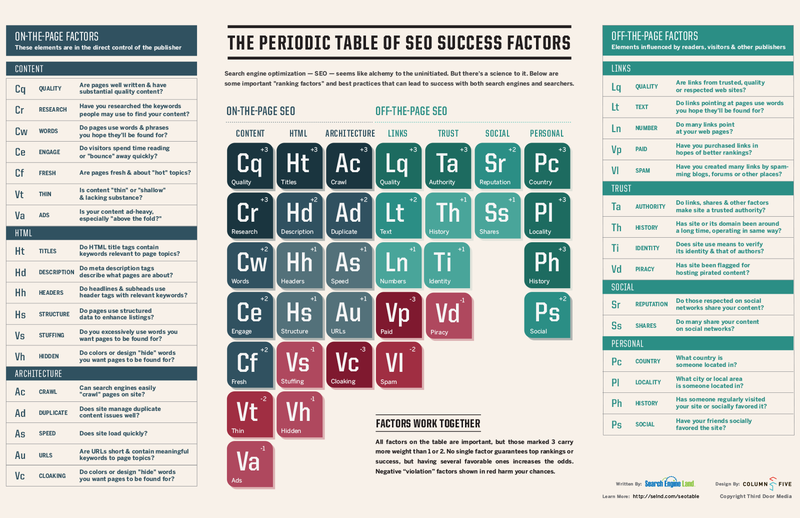 This, along with the links from other sites, lead to more traffic, which could further influence how well you rank. Bland links are links from sites with lower authority or influence. They don’t necessarily harm how well you rank, but they also don’t bring much – if any – value. Rotten links are those from sites with very low authority, and with little to no connection to your business, industry, and audience. They often have very little content, and it is usually low quality content, with links that are viewed as spammy by most search engines. The only reason they link to sites with higher authority than theirs is to try and manipulate their own rankings in search engine result pages. And returning to the principle of being known by the company you keep, too many links to your domain from low quality, spammy domains could see your site being penalised by search engine algorithms. This would mean either ranking much lower, or disappearing almost completely from SERPs for certain keywords. Thanks to that admission by Google, we now know that links and content are two of the top ranking factors. But deciding which to focus on first is not akin to the chicken or the egg dilemma; content always supersedes links. Link building is important, but without content you aren’t going to attract any links naturally, or through manual outreach. The best links are editorial links: links to your content or website that are placed in someone else’s content. You see editorial links in most blog content, and have no doubt even included some in your own content when referencing someone else’s article, or quoting from it. These are natural links in that nobody has asked for the link, it is placed because the writer has decided it is a valuable piece of information that supports or enhances their own content. But attracting editorial links relies on two things: creating great content that others will find valuable, and making other people aware of your great content. Let’s take a look at the different types of content you should be creating. One of the easiest ways of attracting ‘natural’ backlinks is through the creation of informative visual content that invites sharing. This could be as simple as creating graphs that visualise data, or images to illustrate certain common concepts. Think of how many times you’ve illustrated an article on your site using someone else’s images, and how each time you always include a link to the source. Creating your own images increase the chances of other people using them in their articles, but now with a link to your site. Infographics take a bit more effort to create, but are also much more shareable than regular images. Our Why Every Restaurant Needs an App infographic didn’t only manage to attract valuable backlinks, it even received some coverage on the Huffington Post, again with a backlink to our home page. We also published an interactive data visualisation ahead of Black Friday 2016, showing where shoppers were expected to spend money online, and what device the purchases would be made on. This too attracted a number of backlinks, including mentions on Mashable, Brandwatch, and other sites with strong domain authority. Creating infographics and case studies doesn’t always rely on you doing extensive, independent research. It is possible to create both using information and research that is readily available on the internet; all you are doing is consolidating it, and presenting it in a new way. The key to making it shareable is ensuring that it is current, addresses a problem experienced by more than a few people and that it appeals to your audience first. Artificially stimulate interest in it by sharing it with influencers within your industry. Listicles are the popsicles of web content: fun, but not very nutritious. List posts, on the other hand, use the list format to present content in an easily digestible format, while still providing a lot of valuable information. They can be short or long, evergreen or seasonal; the choice is yours. Because they present content in bite-sized chunks, they are easy to quote and tend to attract the most backlinks. 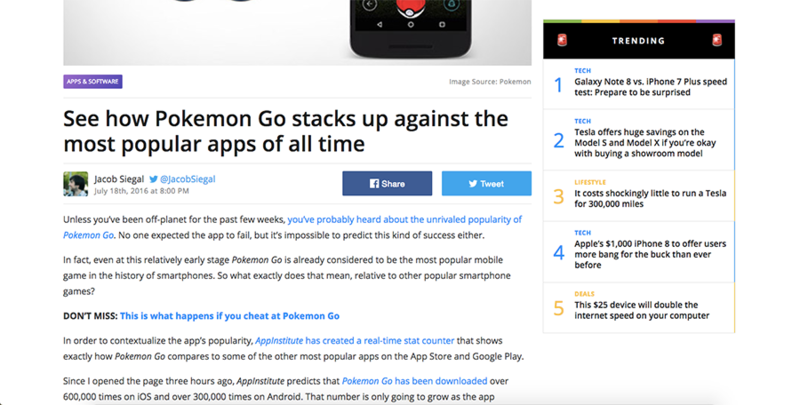 The biggest app debut of 2016 was undoubtedly Pokémon Go, which didn’t only benefit Niantic and Nintendo, but also countless local businesses who saw a spike in foot traffic. We recognised the impact of Pokémon Go quite early, and launched a real-time stats page for the app before the end of July 2016. The page uses historical data from a number of sources to present statistics visually, and in a way that makes it easy to compare to the performance of other apps. The page instantly attracted backlinks from a number of websites with strong domain authority, and even though Pokémon Go now attracts less coverage than it did a year ago, the number of backlinks pointing to this page continues to grow. Case studies don’t always need to appeal to a huge audience, but they should always appeal to your audience. Our article on marketing your business on social media included three case studies linked to specific social media platforms. Many similar articles tend to focus on large, global brands, which isn’t particularly helpful to small business owners. Our article did just that, looking at how three small business owners leveraged social media to boost their brand. This, in turn, resulted in an increase in the number of backlinks from sites whose primary audience was small business owners. Depending on the nature of your business, it is possible that you regularly have to respond to the same questions from your customers. And these all make for great topics to be covered on your blog. But every now and again you may encounter a topic that requires more than a simple 1-2-3 guide. The in-depth guides that better suite these topics also tend to attract a large number of backlinks, purely because of the amount of detailed information they pack into a single article. Resource pages are an opportunity to build high value pages for you market, niche, or industry. 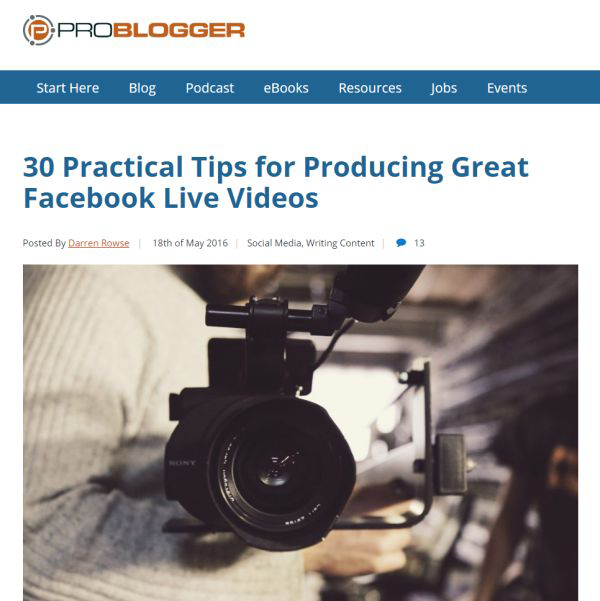 It’s possible that you have already written blog posts that focus on specific tools or resources – like we did with our 31 Facebook Marketing Tools to Supercharge Your Campaigns post. But while that post focused on Facebook marketing tools, we also have a dedicated page of curated tools for the mobile app ecosystem. In some industries a resource page would be quite easy to put together, but it becomes more valuable when you put in a bit of research too. Look at what keywords are commonly searched within your industry, and which keywords bring the most traffic to your site. Expand this by looking at your competitors, especially if they already have a resource page. 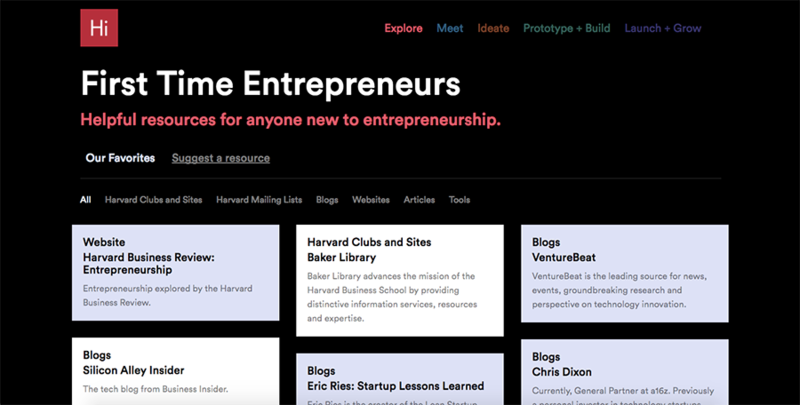 Finally, identify authoritative sites that already link to similar resource pages. Create the resource page making sure it addresses user-value; the more valuable it is as a resource, the easier it will be to attract backlinks. Once the resource page is live, begin promoting it across your network, and by doing manual outreach to sites that link to similar resources. Anyone familiar with content marketing would know that the ideal business blog includes a healthy mix of diverse content. And that should always be your top priority. The types of content we have discussed here are only meant to show what types of content commonly attract backlinks. Mixing them in with your regular content could help your link building strategy, as long as they aren’t the only type of content found on your website. And while these types of content commonly attract natural links, you are still expected to promote them to your network, and to other websites. Content doesn’t magically result in backlinks, you still need to work to help people discover the content in the first place. And some of this depends on outreach. The catch-22 of content and links being a top ranking signal is that you’re unlikely to attract great links unless you have great content. But having great content won’t automatically see a flood of backlinks to your site, or your content blazing its way to the top of search engine results pages. Link building nowadays is as much about building relationships as it is about links; connecting to influential websites and site operators. This is done through a combination of basic and advanced outreach, with a little bit of promotion thrown in for good measure. The most basic form of outreach involves connecting with sites that have already mentioned you, or used any of your images. For mentions you can either do regular searches on Google, or set up alerts using paid tools such as Fresh Web Explorer or Mention. If you are using Moz Pro to analyse backlinks and link opportunities, then you already have access to Fresh Web Explorer. Alternate names for your business. This might be an older name – if you rebranded at some point – or shortened or slang terms customers sometimes use. The names of prominent employees, when appearing in reference to your business. Upcoming, and past, events, competitions, and promotions. Product names, but don’t limit yourself only to proprietary products. Include other branded products you sell, while also monitoring for mentions of your competitors products. Some of these mentions might already include a link back to your website, but for those that don’t it is an opportunity for you to reach out to the site operator and ask about the possibility of including a backlink. Always visit the site first and assess the sentiment of the mention, along with the relevancy of the site itself. Use Moz Pro, Ahrefs, or CognitiveSEO to determine the domain and URL authority, but don’t ignore sites just because their authority is a bit low. While you want to avoid backlinks from sites that appear spammy, or are completely unrelated to your business or industry – even in the context to how your brand has been mentioned – links from low authority sites can still lead to an increase in visitors, some of whom may turn into new customers. your company logo, and any other unique brand images. infographics you had designed for use on your site, or in a specific post. images you had designed to illustrate specific concepts or processes, for use on your site or in a specific post. Identify sites using your images without a link back to your site, and then assess the context (relevancy and sentiment), and the domain authority, before contacting the site operator. The idea is not to go Tony Soprano on them and extort a usage fee, or even get them to stop using the image, but to request that they acknowledge the source and include a link back to your site. Whenever you request links from sites mentioning your brand, or using any of your images, always suggest a URL they should link to. There’s nothing wrong with them linking to your home page, but if you have an informational page – or blog post – that might be more relevant to their audience, use it. Avoid directing backlinks to landing pages, or straight into your conversion funnel. Before moving on to cold outreach, it is worthwhile looking at existing relationships in the form of your customers and suppliers. Although better suited to B2Bs, it could also work for some B2Cs, depending on how well you know your customers. Look at the websites of your suppliers and customers, and even those of incidental partners (the companies that handle your deliveries, or printing, etc.). If they have a page listing their vendors or partners, ask them to include your business if it isn’t already listed. If they include customer testimonials on their website, write you own and send it through to them. Your request should be more of a polite suggestion, and you should never react negatively if they choose not to link to your business. 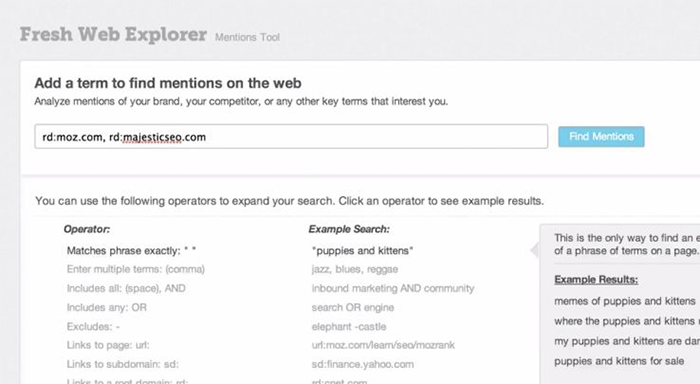 Use Moz Pro, Ahrefs, or CognitiveSEO to see which websites link to your competitors. Later you can also expand this to look at businesses that aren’t direct competitors, but do overlap with yours. By way of example, cake shops and pastry chefs could look at websites linking to local event planners, and even event venues. Identify the top websites in your industry. Typically these are sites that publish information, reviews and news relating to your industry, the products you sell, or services you offer. Again you would use tools such as Ahrefs, etc. to reveal domain authority for each identified site, and to eliminate any potentially spammy sites. the value a link from them would offer. This is determined through a combination of their domain authority, the relevance of your business to their audience, would a link from them use the “nofollow” attribute, and would it send you direct traffic? the relative ease with which you could get a link from them. Getting a link from a site with a resource page listing and linking to businesses similar to yours is considerably easier than landing a guest or contributor blog post. Similarly, landing a guest or contributor post could be easier than getting an editorial link. Although it is easy enough to find sample scripts of email messages you can send as part of your cold outreach to establish new relationships, focus on sending personal messages that don’t read like a script. Most top web publications have seasoned professionals writing for them, and between them they would have seen every script variation out there. Meaning that if what you send them looks like a template with a few changes, it’s going straight to the trash folder, if it even makes it past their spam filter. If you are looking for an editorial link, do refer to specific content on their website that you enjoyed, and where an editorial link might work. If you are interested in submitting a guest post, familiarise yourself with their guest post guidelines before you suggest a topic. A less obvious way to get an editorial link is to use your favourite link research tool to analyse sites you would like linking back to you, specifically looking for broken external links. With so much content being published daily by some sites, it isn’t uncommon to find some editorial links pointing to sites that are no longer around. Work your way through all the 404 Not Found links, looking for any where your website, or a specific post on your site, would make a suitable replacement. Always check the broken link to ensure it really is broken, and not misreported. Then, send messages to the site operators politely pointing out how you discovered a broken link while browsing their website. Mention your site or post that you think might make a good replacement for the broken link, and maybe include a few reasons why you think this. There are other link building tactics you could try, from local citations, through to quality directories, sponsorships, and even press releases. The success of each depends on your industry, and your approach. Not every site you contact will respond positively, but there are likely to be hundreds of websites you should be contacting, not merely a handful. And if you’re a small business owner with very limited resources, start even smaller by emailing brands and businesses you happen to mention in your blog posts. Although the idea is to land a reciprocal link, you aren’t requesting it directly. Instead your message is more of a friendly introduction letting them know that you mentioned them in a recent post of your website. Just don’t forget to include a link to the post in your message. Moz Pro is a comprehensive suite of SEO tools, with Open Site Explorer and Fresh Web Explorer being the tools you would use most frequently when doing link research. Moz Pro scores page and domain authority out of 100, with higher numbers equating to more authority or influence. Moz Pro also analyses various spam flags, indicating how likely a domain is to attract a penalty from Google and other search engines. Ahrefs is also a suite of SEO tools, including tools to check backlinks, broken links, and even domains linking to your competitors. Domain authority is shown in the domain and URL rating, again with a higher rating being better. CognitiveSEO ranks domain and link authority on a scale from low to high, with a host of other tools making it easy to analyse the value of specific backlinks in great detail. This includes highlighting unnatural links with a high risk of attracting penalties, along with the ability to easily generate a disavow link file. YAMM is helpful if you want to send outreach emails as part of a campaign, making it easy to automatically pull in unique information from a pre-configured spreadsheet. YAMM makes it easy to track opens on all messages sent, with a daily sending quota of between 50 and 1,500 messages. Hunter is perfect for finding email addresses for almost any domain. While some websites handily list important email addresses, there are also countless sites that don’t, providing you with little more than a basic contact form. The free plan limits you to 100 requests a month, with no export feature. Voila Norbert was elected the most accurate email finder out there according to Ahrefs. Norbert also has an email enrichment tool which greatly enhances your outreach efforts with valuable data such as job title and location. If your involved with link building at scale, Norbert’s got you covered. Link building is an incredibly important part of any business website’s SEO strategy, and while this brief introduction to the weird world of link building may have left you feeling like you’re teetering on the edge of a rabbit hole, you shouldn’t be afraid of jumping in, exploring, and formulating your own link building strategy. No business owner should be happy that their website is all but absent from search engine results pages, or that the only person reading their awesome blog posts is the owner’s mother – and she isn’t even a customer! It is important to also remember that link building in 2017 is very different to what was accepted practice in 2005, but if you want your website to be more visible in search results, you’ll get to work on building important link relationships.